Registration for Class Ist and above except Class XIth will be done only if Vacancies exist. For Class XI, application forms will be issued immediately after the declaration of Class X results, subject to availability of Vacancies in the Vidyalayas . Reckoning of age for all Classes shall be as on 31.03.2018. Reservation of seats will be as per KVS Admission Guidelines available on the website (www.kvsanoathan.nic.in). For further details, parents may contact the Principal of nearby Kendriya Vidyalaya. In supersession of all the guidelines governing admissions in Kendriya Vidyalayas that have been issued in the past. the following guidelines are issued to regulate admissions in the Kendriya Vidyalayas with effect from the academic session 2018-19. These guidelines are not applicable to Kendriya Vidyalayas located abroad. CENTRA GOVERNMENT Employees: An employee who draws his emoluments from the consolidated fund of India. TRANSFERABL:An employee who has been transferred at least once in the preceding 7 years shall be deemed to be transferable. An employee would be treated as transferred only if he/she has been transferred by the competent authority from one place/urban agglomeration to another place/urban agglomeration which is at a distance of at least 20 kms. and minimum period of stay at a place should be six months. Organizations which are fully financed by the govemment or where the government share is more than 51 per cent would be deemed to be autonomous bodies/ public sector undertakings. SINGLE GIRL CHILD: Single Girl Child means the only child i.e. only girl child to the parents, with no other siblings. Children of transferable and non - transferable employees of Autonomous Bodies / Public Sector Undertaking/Institute of Higher Learning ofthe Government of India. Children of transferable and non-transferable StateGovernment employees. Children from any other category including the children of Foreign Nationals who are located in India due to their work or for any personal reasons. The children of Foreign Nationals would be considered only in case there are noChildren of Indian Nationals waitlisted for admission. Children and grandchildren of employees of the Project Sector/Institutes of Higher Learning which are the sponsors of the Vidyalaya,Children of Project employees /I Post Graduate students who are working on long term research projects, Children of regular Council of Wardens (COW) employees and children and grandchildren of retired employees. Children of transferable and non-transferable employees of Autonomous Bodies/Public Sector Undertaking/Institute of Higher Learning of the Govemment of India. Children of transferable and non-transferable employees of Autonomous Bodies/ Public Sector Undertakings/Institute of Higher Leaming of the Stale Governments. 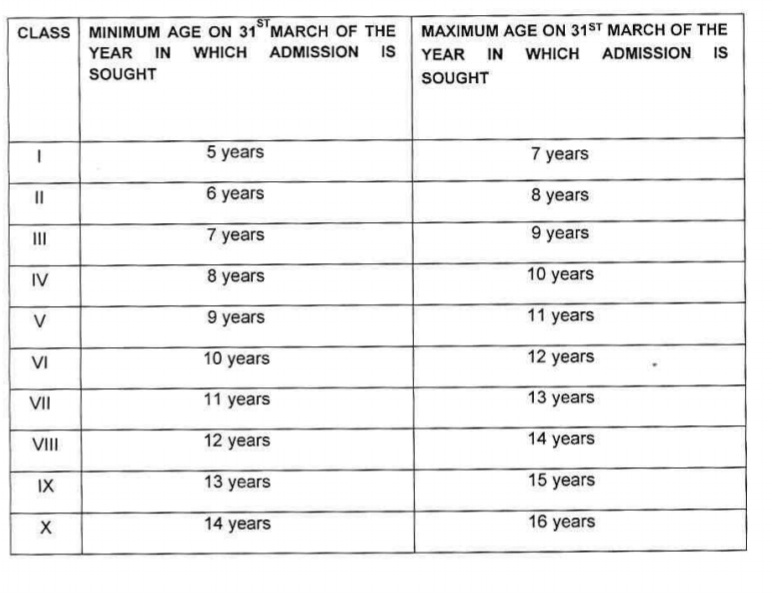 B There is no age restriction for admission to Class XI provided the student is seeking admission in the year of passing Class X examination. 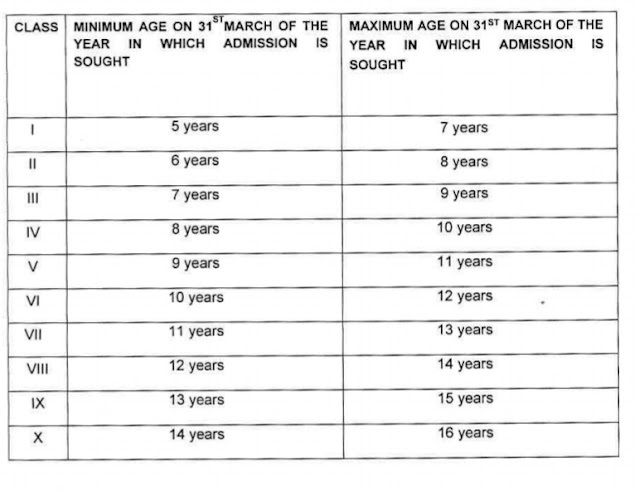 Similarly, there will be no upper F. lower age limit for admission to class XII provided there has been no break in the continuous study of the student atter passing class. Get Online Registration Application Click Here. Get Download Complete Guidelines for Admissions Click Here.